Description: Educators attended a four-day summer workshop focused on integrating the language and culture of Brazil into the K-12 classroom. Brazil, Latin America’s largest country, has recently gone through tremendous change in the last decade. From hosting two mega-events, the World Cup (2014) and the Summer Olympics (2016) to recently impeaching their president Dilma Rousseff, Brazil serves as an interesting case study for developing countries that can add to the understanding of your students’ understanding about the world. Institute participants explored the history and culture of Brazil, improved their communication skills through Portuguese language classes, and collaborated to design innovative curriculum and materials to use in the classroom. Faculty and staff from three top-tier universities gave lectures and hands-on workshops. 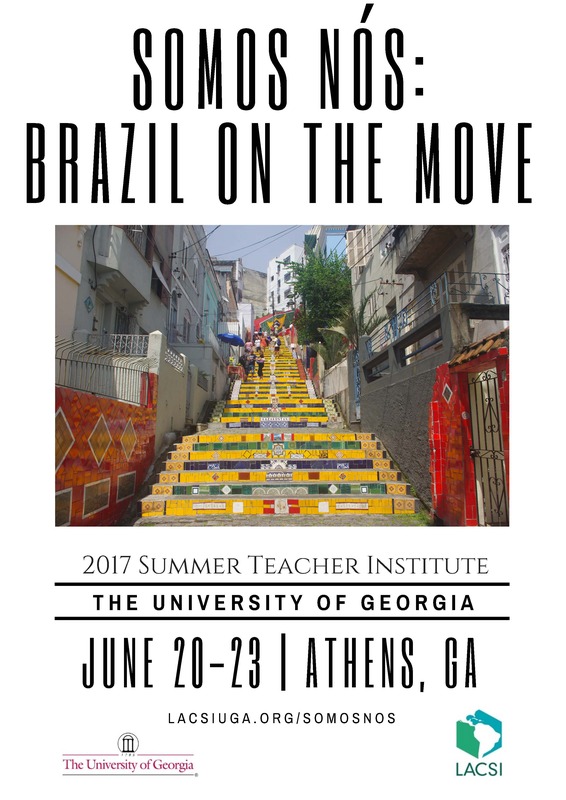 This summer institute was sponsored by the University of Georgia, Tulane University, and Vanderbilt University through a Department of Education Title VI National Resource Center grant.